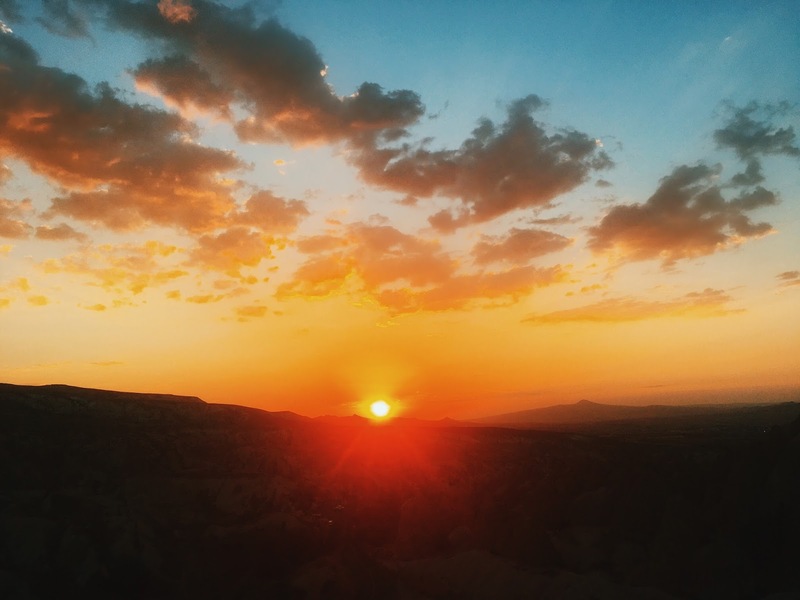 It’s located in central Anatolia, you can take a flight to one of the cities belonging to Cappadocia, Kayseri or Nevsehir. We stayed at Artemis cave suites. The hotel has a rooftop terrace, where you can watch the hot air balloons rising at the sunrise. It is located in a perfect area of Göreme, the center of Cappadocia. We stayed in one of the popular cave suites, which was the best choice we’ve made! It was such a cool experience! I highly recommend to stay in a cave suite when visiting this beautiful place. It gives you a very special feeling. Even though we stayed there for only two days - it felt like a week due to all the beautiful experiences we made. 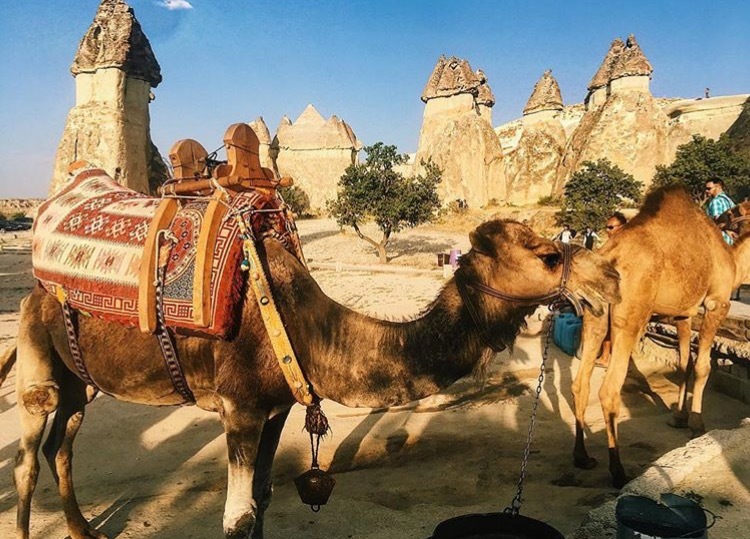 On our first day we explored Göreme, which is surrounded by an unique rocky landscape and architecture. The city was not much crowded as we thought it would be! There weren’t many tourists and the atmosphere was very relaxed and great. 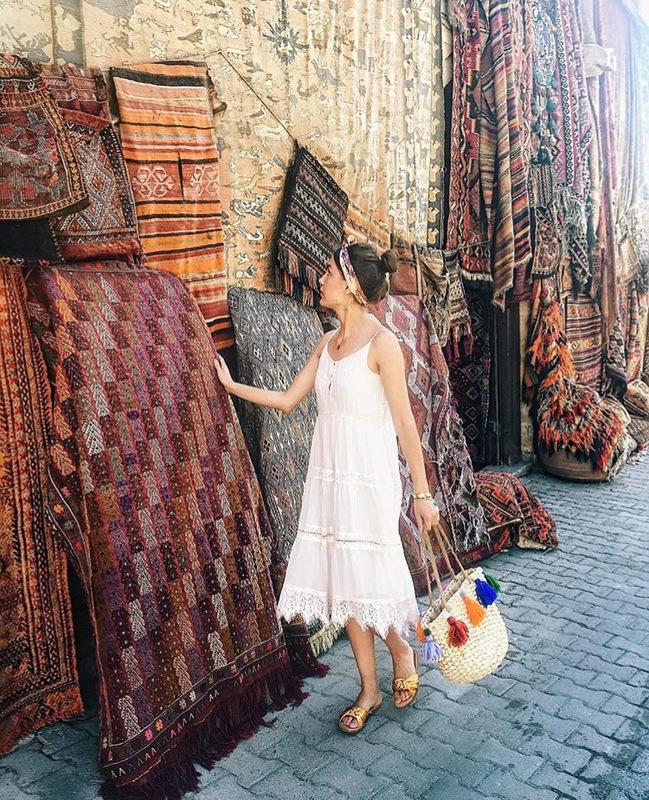 We’ve made some shopping in all the cute little shops and oh I’ve to warn you, you can get lost in one of the shops selling beautiful magic carpets!! 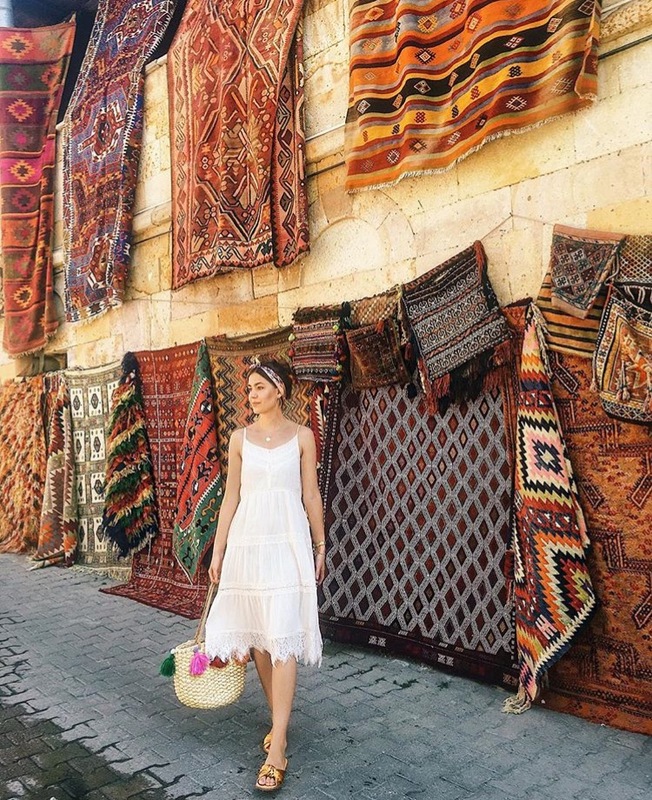 I could spend hours there admiring all the traditional carpets, which are available in different versions. In the late afternoon we made our way to discover the popular fairy chimneys in Pasabag valley. It’s also a very good place to watch the sunset with your beloved ones! The last stop before we head back to our hotel was Ürgüp town, where we enjoyed our evening dinner with an amazing view over the city. Our second day started very early. We planned to make the hot air balloon tour, which is the most popular activity in Cappadocia. We had to get up at 4am to catch the sunrise from our hot air balloon. I can't describe my feelings when we get to the place where all these hot air balloons start rising up to the sky. It was magical. First, I was a little bit afraid making the hot air balloon tour, but I have to say IT WAS THE BEST EXPERIENCE EVER. I don't regret it and recommend it to everyone! Our balloon was carrying about 20 persons. It started very slowly getting up to the sky. You didn't even notice when the basket is leaving the ground. Also, it didn't shake, although we started to change our places from one side to the other side of the basket to get the best shot of the other balloons in the sky! It was the most special one hour in my life an I really enjoyed every minute to the fullest. It was so peaceful. I can't describe this feeling you get when you're up in the sky. It's like just you and the sky, nothing else. So dreamy.You've to experience it yourself. 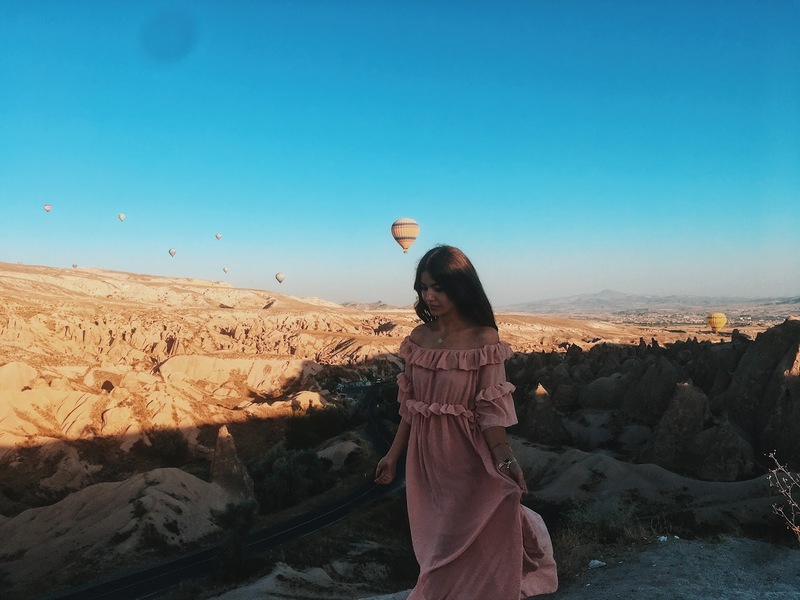 Cappadocia is one of the most beautiful and special places I've visited and visiting this magical place should be definitely on every travel lover's list.